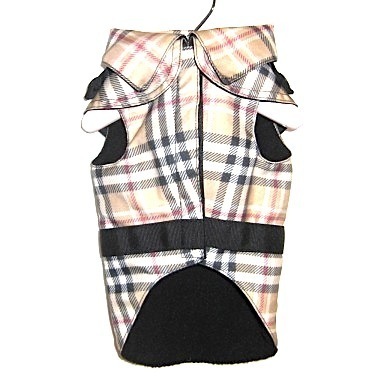 Elegant raincoat in checked brown black and red and white pattern. Water repellant and warm. 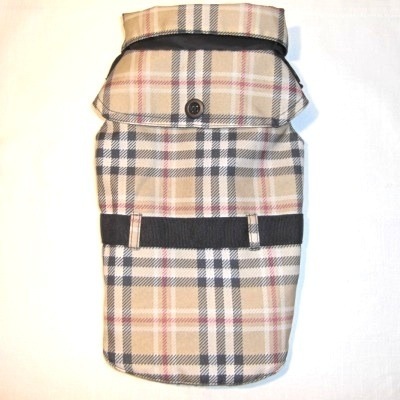 Black warm pile lining, belt across the waist and button details. The search for the most precious cashmere and silk yarns, all hand made in Italy. Details that underline an artisan ability of long experience to emphasize the unique Italian style. 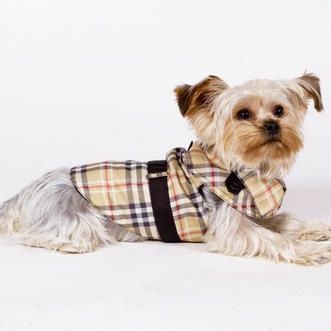 A touch of class for the Glamours Dog. Size S -28cm by length.